This post involves a storied building in Chicago’s Diamond District. St. Paul Mercury Insurance v. Aargus Security Systems, Inc., 2013 IL App (1st) 120784, examines the nature and scope of an independent contractor’s liability in a multi-million dollar property damage case. 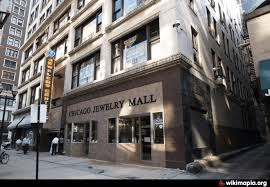 The Mallers Building (see 1993 article here) is a nearly century-old, 21-story building in downtown Chicago that primarily houses jeweler tenants. In the early 1990s, the building owner entered into a written security services contract with the defendant to monitor tenant and visitor access to and from the building. The building’s insurer sued when a propane tank being delivered to a tenant exploded, causing some $14M in property damage. The plaintiff claimed the security firm breached the security contract and was negligent in allowing the tank into the building. The trial court granted summary judgment for the security firm and the insurer appealed. Plaintiff’s breach of contract claim failed since the contract didn’t require the defendant to check, inspect or prevent the delivery of propane tanks to the building or to know and enforce City building code rules governing dangerous materials. The court also pointed out that the owner knew about prior propane deliveries to the site for years since Jewelers routinely use the tanks in their day-to-day business. ¶¶ 62-64. The Court also disagreed with plaintiff’s argument that the security agreement was ambiguous and that extrinsic evidence was necessary to explain the full scope of defendant’s security duties at the building. The Court found the security contract plainly stated the parties’ respective rights and obligations and nothing in either the security contract or a separate security manual (an internal handbook that didn’t involve the owner) could be construed to impose a duty on the defendant to stop propane tanks from entering the building. ¶¶ 62-64. Plaintiff’s negligence claim also failed. An Illinois negligence plaintiff must plead and prove that (1) a defendant owed a duty of care, (2) that he breached that duty of care, and (3) the breach proximately caused (4) injury to the plaintiff. ¶ 58. Duty means an obligation to conform a defendant’s standard of conduct for the protection of another against an unreasonable risk of harm. Whether a defendant owes a legal duty to the plaintiff is a question of law decided by the court. If the defendant doesn’t owe a duty to the plaintiff, the defendant is entitled to summary judgment. ¶ 58. Here, based on the clear language of the security contract and the security firm’s own internal manual, the defendant owed no duty to personally inspect or prevent the delivery of propane tanks to the site. ¶ 62. The Court also rejected plaintiff’s “voluntary undertaking” negligence argument. The voluntary undertaking rule posits that when a defendant gratuitously provides services to another (think Good Samaritan), the defendant can be liable to the plaintiff if the defendant causes bodily harm to the plaintiff based on the defendant’s failure to exercise ordinary care. ¶ 61. The voluntary undertaking rule didn’t apply though because (1) the rule is narrowly construed in Illinois and (2) defendant’s services weren’t gratuitous: it was being paid by the hour for its security services. ¶ 61-62. The Court also struck two of plaintiff’s security experts’ affidavits under Supreme Court Rule 191. Rule 191 requires affidavit testimony to be factual, based on personal knowledge and not based on speculation, hearsay, opinion or legal conclusions. The Rule also requires that any documents referenced be attached and verified. SCR 191; ¶¶ 68-70. The court found the security experts’ opinions that the defendant breached its duties to the owner were conclusory and irrelevant since duty is a question of law for the court; not for the experts. The Court also discounted plaintiff’s experts’ affidavits since neither expert had any involvement in the negotiation of the security contract or had regular involvement in the building’s operations. ¶ 72. – Rule 191 affidavits (opposing or supporting summary judgment) must be present-tense factual and not speculative or conclusory.